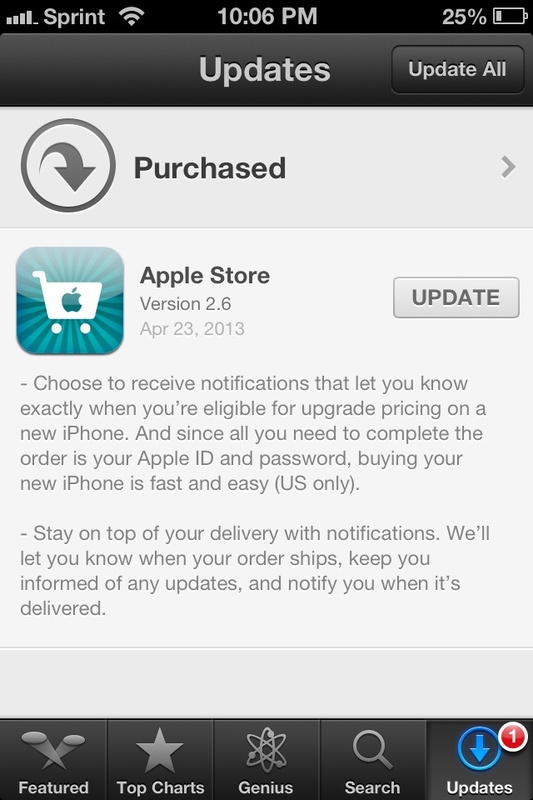 Last night, Apple released and update to their iOS Apple Store application. The update, while minor, strikes me as a tool to help keep new iPhone owners all worked up about when they can upgrade to the new iPhone, allegedly the iPhone 5S. 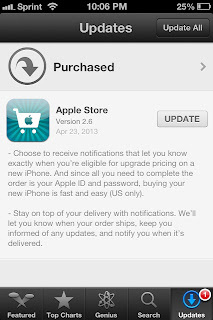 The two new features puts up a notice of when you are eligible for an iPhone upgrade, with pricing, keeping you informed once you buy your new phone with delivery notifications. Hey, when it's a new toy, even overnight shipping is too long and we *need* to know where our phone is and when it will arrive at on our front porch.